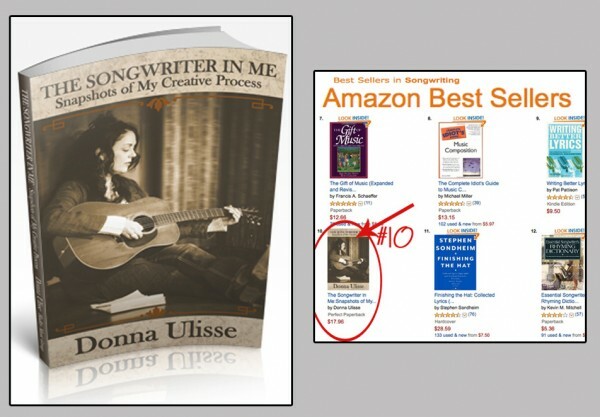 Donna Ulisse recently completed her first book for Hadley Music Group titled The Songwriter in Me: Snapshots of My Creative Process. In this book, Ulisse shares her development as a songwriter; from introducing us to the people around her as a child who fired up her imagination, to being a signed songwriter at a music publishing company in Nashville, TN for the past fifteen years. She offers tips on the co-writing process, explanation of song structures and rhyme patterns, exercises on how to get your own creative juices flowing, as well as many of her own lyric examples with insights to her approach on each lyric. Written in her endearing, straightforward and down to earth style, Ulisse’s love of songwriting shines through on each page and she presents the information in an accessible form to writers of all levels. 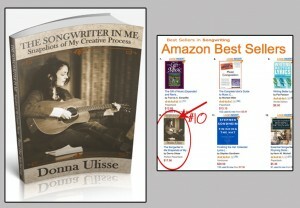 The book quickly moved into the Top 10 on Amazon in the category of books on songwriting.